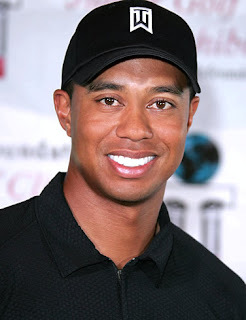 Tiger Woods has given many golf lessons to people during the course of his career. 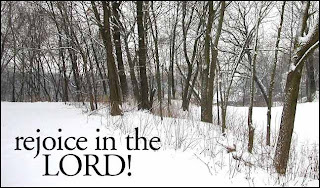 Today, however, he gives all of us a Christmas lesson, as well as an important lesson about ourselves and about the nature of our lives here on this earth. What a great insight! What a great insight about the human condition. Too bad all the newscasters in the secular media missed it (at least everyone I listened to missed it!). They were too busy focusing on the sordid details of Tiger’s infidelities to worry about important insights that might really help people understand themselves and understand life. We’re never satisfied. It’s never enough. That’s the deeper message of Tiger’s fall from grace. I say that because it’s hard to think of someone who had more of what this life has to offer than he had. If anyone should have been “satisfied,” it was Tiger Woods! He had more money than he knew what to do with; he was the best in the world in his chosen profession; he had popularity numbers that any politician would envy; he had his physical health; he had a beautiful wife and two beautiful children. He had “everything” that the world tells us we need for happiness. But “everything” was not enough! Incredibly, all of that did not satisfy him. He had to have more: more pleasure; more fun; more excitement. He was clearly not a happy man! Do you realize that? A happy man does not cheat on his wife; a happy man does not engage in the kind of reckless behavior that Tiger engaged in; a happy man does not hurt the people he loves like Tiger hurt the people he claims to love. The Tiger Woods tragedy should cause us to do a great big “reality check” as individuals and as a nation. What is the meaning of life? Is it simply to have a good job, make a good salary, have a nice family and provide well for them? Tiger succeeded in all of those areas, and something was still missing. Where is true happiness to be found? It certainly can’t be a matter of making lots of money, becoming famous, having fun and accumulating lots of stuff. If it were, then Tiger would have been the happiest guy on the planet—or close to it. Our happiness, of course, will always be limited here on earth, because we are imperfect creatures living in a world tainted by sin. But genuine happiness can be experienced in this life; although it’s not a matter of what we have on the outside (Tiger Woods has shown us that); it flows, rather, from what’s on the inside. True happiness comes from knowing your Savior—Jesus Christ—who loved you so much that he took on mortal flesh in the womb of the Virgin Mary, was born on Christmas Day, suffered, died and rose again so that you could have forgiveness for your sins and perfect happiness someday with him in his eternal kingdom—as well as a more ordered life here on earth. That, incidentally, is the “why” of Christmas; it’s why Jesus came. Speaking of forgiveness, when was the last time you went to confession? Genuine happiness is rooted in a living relationship with the living God that runs deep, that is not superficial! It does not come from being committed to the Lord half-heartedly, and only when it fits into your busy schedule—which is precisely the way that Tiger Woods was committed to his wife and family. That type of commitment does not work in a marriage, nor does it work in our relationship with God. I’ll conclude my Christmas homily this morning with a famous line from the writings of St. Augustine. Augustine never played golf (he lived back in the 4th century), but, prior to his conversion to Catholicism, he definitely would have been a worthy rival for Tiger Woods in committing sins of the flesh. He was an expert in that area. I pray for Tiger Woods, that he will someday find the cure for his restlessness where St. Augustine found the cure for his (which is the only place it can be found): In a personal relationship with his Savior, Jesus Christ, in the Church. And may all of us do the same--if we haven’t already. Great Expectations of God: You Need Them If You Want to be Able to Rejoice Always! We usually expect too much from other people. Deep down inside we know we shouldn’t, but we do anyway. Children, for example, expect their parents to be perfect, but there are no perfect parents on the planet. A man expects his wife to fulfill his life in every way—a woman expects the same of her husband—but it doesn’t happen (indeed, it cannot happen!). We expect professional athletes like Tiger Woods to be great role models for children, but, as we’ve discovered in recent days, that’s a very unrealistic expectation. We expect to be understood by the people we love, but that doesn’t always happen. We expect to be forgiven by friends and family members and coworkers when we tell them that we’re sorry for hurting them, but sometimes they withhold their forgiveness. This phenomenon, of course, is not peculiar to our era of human history. People have always expected too much from others. Just look at today’s gospel story from Luke 3. John the Baptist preaches, teaches and baptizes the crowds by the Jordan River, and they begin to think that he’s something he isn’t; they begin to think that he’s SOMEONE he isn’t! Now here’s the real—and extremely sad—irony. As I’ve just made clear, we flawed human beings usually expect too much from other people. And yet, at the very same time, we expect too little—much too little—from Almighty God! Perhaps that’s the reason why some of us don’t rejoice—at this or at any other time of the year. Perhaps that’s the reason why some of us can’t rejoice. Today we celebrate Gaudete Sunday. It’s the Sunday on which the pink candle of our Advent wreath is lit, signifying that we’re in the second half of Advent and that the joy of Christmas is fast approaching. But, you see, you can’t rejoice in the Lord—always or even for a little while—unless you have great expectations of God. Neither will you be able to rejoice if you have a lot of unrealistic expectations of God, but that’s another story. First of all, a distinction needs to be made here between feeling joy and rejoicing. The two are easily and often confused. Feeling joy is an emotional response to something that pleases us; rejoicing, on the other hand, is an act of the will. It’s a decision made on the basis of things that we know to be true. I don’t feel joy at every moment of my life. I have crosses just like everybody else, and sometimes those crosses cause me to feel distress and sadness. And I’m sure I am not unusual in this. For most people on the planet, that’s life! But regardless of how I’m feeling at any given moment, I can still make the decision to rejoice. That is always a possibility. I don’t have to rejoice, that’s true—and to be perfectly honest, sometimes I don’t in difficult circumstances—but I do have the capability to do it if I choose to. 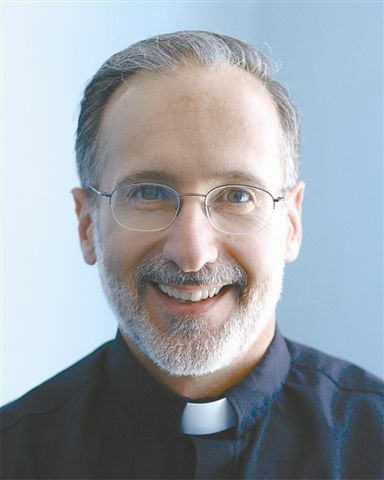 Now, as I said earlier, choosing to rejoice needs to be based on what we know is true; it needs to be based on the realistic and great expectations we have of God, expectations which are rooted in our Catholic faith. For example, regardless of how I may be feeling on a given day, I can still rejoice . . .
· That Jesus does love me and will continue to love me, even if I sin seriously. · That Jesus will forgive me whenever I sincerely repent, and especially when I bring my sins to him in the sacrament of Confession. · That Jesus will always hear my prayer and respond to it. · That Jesus is always there for me in the Holy Eucharist. Those are some of the things I can rejoice about—even on my worst days. That’s because I have great expectations of God: I expect him to always love me; I expect him to forgive me when I repent—that’s why he sent his Son to die for me; I expect him to supply my needs when I ask him to in prayer (not my wants, but my needs); and I expect Jesus to be there for me every time I receive him in the Eucharist, based on his promises to me in Sacred Scripture. And here’s some really good news: Sometimes when you’re not feeling so great but you make the decision to rejoice in the Lord anyway, you end up feeling at least a little bit better! When our great expectations of God motivate us to rejoice, sometimes our emotions follow. That’s an added bonus—an added bonus for which we should thank God and for which we should always rejoice! What’s the most popular game in the world today? Those two questions, believe it or not, have the same answer. Oh sure, Adam, she forced it down your throat! The blame game: We’ve all played it, have we not? Perhaps some of us play it all the time! You know the lines. There are lots of them. And then we have Mary, who was not personally responsible for even one single sin, because she was immaculately conceived in the womb of her mother, Ann, and remained sinless throughout her entire life by the grace of God. Yet, out of love for God and neighbor, Mary did assume the responsibility of giving birth to and raising a Savior for Eve, and for herself, and for the rest of us. Eve’s denial of personal responsibility for her own sin helped to bring death into the world; Mary’s assumption of responsibility in bringing the Son of God into the world and raising him to manhood brought the possibility of forgiveness and eternal life to us all. So the bottom line for each of us is this: We can choose in our earthly life to be a “blamer” like Eve (and Adam), or we can choose to be a person of responsibility, like Mary. 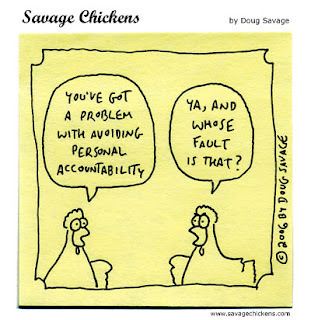 For us, of course, being a responsible person includes taking ownership of our sins! It means admitting that we’ve done bad things that we shouldn’t have done, and failed to do good things that we should have done. For those who do want to follow this noble path of personal responsibility, remember that confessions will be heard for two hours this coming Saturday, from 2:30 until 4:30pm. This is an opportunity to take responsibility for your sins, and to receive the forgiveness that Mary’s Son won for you by his passion, death and resurrection. To encourage you to choose this noble and better path, let me make one final point about the blame game: It’s a game in which nobody wins! Whenever we play the blame game, we lose our honesty and integrity, and the people around us have to deal with the consequences. On the other hand, when we take responsibility for our sins and sincerely repent, everybody wins! We win God’s incredible forgiveness, and the people around us win by getting a much better and nicer person to deal with every day! The name that was given to God who became man was Jesus, which means “Savior,” Savior from our sins. [Thus] Christmas is not for “nice” people; it is for “nasty” people. “Nice” people think they are good and need no Savior. “Nasty” people come to him because they are convertible, aware of their own imperfections and deep sense of needing to be cleansed. Their emptiness is not meaningless, like that of a Grand Canyon, but rather like the emptiness of the manger that can be filled. They have a hunger and thirst for something not of themselves, and so they look to the Lord in the manger, who is very fond of “nasty” people. But now, after listening to Bishop Sheen, you might choose to rethink your answer. And I wouldn’t blame you for that! The point of Bishop Sheen’s reflection is that even “nice” people are bad in various ways, because they’re sinners. We all are. And when nice people are bad, it’s bad for them not to recognize that they’re bad (follow me, so far?). It’s bad for a number of reasons. First of all, if they don’t recognize their badness, they stay “bad” in whatever ways they’ve been bad—and everyone around them has to suffer the consequences. Furthermore, they have to live with their selfish and miserable selves (which is no picnic, either!). And lastly (and most importantly), they cut themselves off from the one thing that can cure them of their badness—the grace and mercy of Jesus Christ; the grace and mercy he came to this earth and died on the cross to give them! And so the Church in her wisdom presents us with John the Baptist every second Sunday of Advent in the gospel reading, to cause us to reflect on our badness—on our nastiness—so that we will be motivated to go to Jesus in his goodness—if at all possible, in the sacrament of Confession. The fact is that each of us is a mixture of some “niceness” and also some “nastiness”. The “nice” people in Bishop Sheen’s meditation simply don’t recognize that fact and thus never deal with their nastiness. In many ways, they’re just like Ebenezer Scrooge—before he was visited by his 3 ghost-friends on Christmas Eve. By the way, have you seen the new movie version of “A Christmas Carol” starring Jim Carrey as the voice of Scrooge? It’s very well-done—extremely faithful to Charles Dickens’ book (although it may be a little too intense for younger children). Scrooge, you see, thought he was a nice guy! He thought he was a fine, law-abiding, hard working citizen—and from one point of view he was! But in many ways he was also extremely “nasty”—and his nastiness affected Bob Cratchit and his family, as well as a lot of other people. It even affected Scrooge himself. It turned him into a selfish, miserable recluse and miser. But because of the ghosts of Christmas Past, Present and Future, he did get a second chance. And that was his big worry, wasn’t it?—especially when he was confronted by the Ghost of Christmas Yet to Come. He was worried that he wouldn’t have a chance to demonstrate that he was a changed man. He was afraid that the Ghost of Christmas Yet to Come was showing him the things that would be, and not the things that might be if he didn’t change for the better. Jesus came that we might have a second chance; in fact, Jesus Christ came, and suffered, and died, and rose again, so that we could have as many second chances as we needed in this life. But, like the nasty people in Bishop Sheen’s meditation, we have to recognize our need for a second chance; and, like Ebenezer Scrooge, we have to do what needs to be done to take advantage of the second chance that’s offered to us. Near each of the 2 doors on either side of our church there’s a sign that reads, “Reconciliation Room”. That sign could read, “Second Chances Given Here” and it would essentially mean the same thing. The Lord Jesus, working through Fr. Giudice and yours truly, will be giving out “second chances” to nasty people next Saturday afternoon from 2:30 until 4:30pm. It would be very, very “nice” to see you there—especially if you haven’t made a good confession yet this Advent.